A little summer silliness for you – be in with a chance to win a Wet Head game with The Mother Edit. I have one to give away, all you have to do is make sure you’re following The MotherEdit’s Facebook page and like and comment on the competition post. Brilliant for the hot weather, Wet Head soaks losers with water following a nerve-racking quiz or truth and dare game. Breaking the Internet with leading YouTubers’ taking the Wet Head Challenge, the new Wet Head game is the most fun you can have this summer. 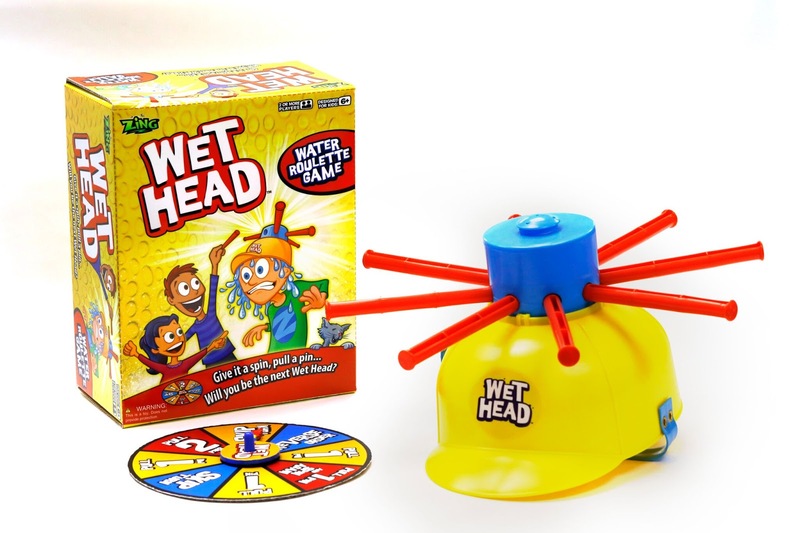 Take your chances with Zing’s all new water roulette game, Wet Head! Grab some friends, fill the Wet Head with water, strap yourself in and give it a spin. Ready for more than one twist? Players have the option to play with the included spinner or download the free Wet Head Challenge app and ask each other trivia questions. Players can also create their own way to challenge family and friends. Any way you play, you might just get soaked. The Wet Head Challenge app, available on iOS and Android, includes fun trivia questions and a special recording feature. The record feature allows players to capture every drenching moment and share their videos on YouTube or social media. Use #WetHeadChallenge to join in on the splash of fun and to see what others are posting! Will you be the next Wet Head? Wet Head comes with one hat, eight pins and a spinner. It is available to buy now for £19.99 RRP and is suitable for ages 4 and over. Visit The Mother Edit on Facebook to enter.